Create a masterpiece in every glass. NitroBrew gives any beer a well rounded flavor, a dependably silky mouthfeel, and a tight head of foam. It looks elegant, tastes delicious, and feels great on the tongue. Best of all, it’s fast to set up and easy to use. 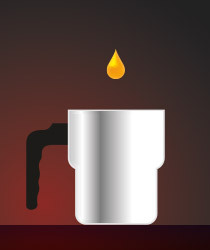 Click here for a detailed FAQ about NitroBrew. The NitroBrew system has just two components: a discreet charging station and a handsome kettle. To install, mount the charging station and connect a nitrogen line. Then you’re finished. No complicated rigs. No fancy faucets. 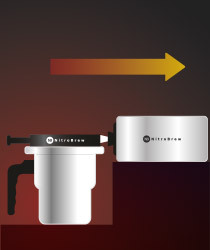 The NitroBrew system is flexible and expandable. One charging station can serve six kettles. 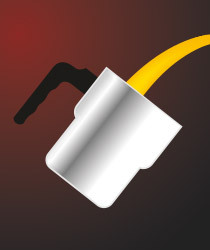 Pour your first nitro beer in just under a minute. Fill the kettle with any beer: tap, bottle, lager, or ale. 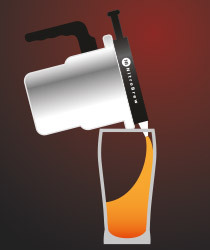 Nitro style beers taste great on their own, but NitroBrew makes it easy to add flavorings. Create new beer styles without stocking additional beers. Want to enhance that hefeweizen? Try giving it some clove and banana notes. Juniper notes in your classic stout? It tastes delicious. Strawberry lager for the spring? Pumpkin ale for the autumn? Now it’s time to add the nitrogen to the kettle. Just press the NitroBrew kettle to the charging station. In one short step, the NitroBrew system reduces the beer’s carbonation and energizes it with nitrogen. After a quick swirl to distribute the nitrogen, you’re ready to pour your masterpiece. And everyone loves watching the mesmerizing bubbles cascade and settle in the glass.